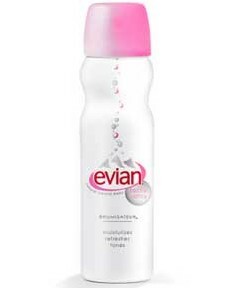 Evian Brumisateur Facial Spray. Tone, refresh and moisturize your skin with Evian Brumisateur Facial Spray. Spray it on and feel the cooling sensation as the millions of tiny micro-droplets are absorbed and instantly go to work to moisturize and refresh. Face Spray, face freshener, face refresher.